SIAM or the Society of the Indian Automobiles Manufacturers has decided to classify the vehicles sold in India based on a new format. The industry body has classified cars into categories namely Micro, Mini, Compact, C1, C2, D, E and F based on their engine capacities and sizes. We got a mail from Maruti Suzuki this morning saying that the company would now onwards send us their sales reports based on the new format. 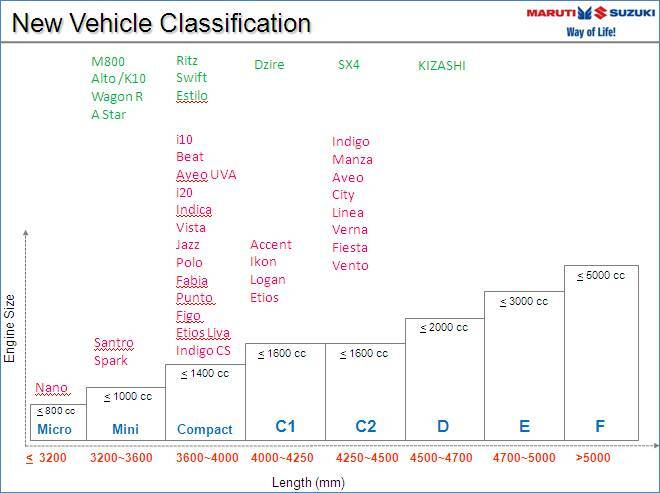 The following slides highlight the changes in the new vehicle classification. Hope this graphic will help you understand segment lingo when we start talking about cars based on this new method of segmentation. Do let us know how easy / difficult do you find this new methodology to classify cars. 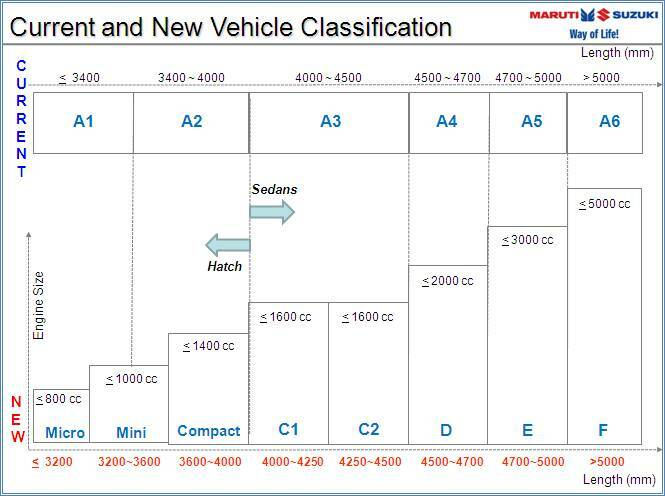 Thanks to Maruti Suzuki for sharing with us the new format.